We have long been fans of the University of Michigan, but since last year when our Executive Director, Tom Cook, was diagnosed with a brain tumor, we have become even bigger advocates and supporters. 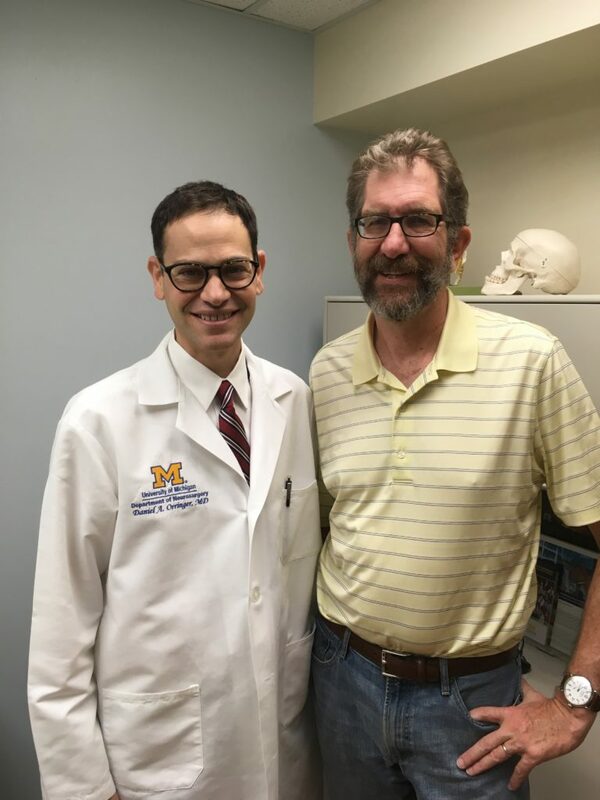 The neurosurgery team at Michigan Medicine provided Tom world-class care and successful brain surgery restored him to his leadership role at the Foundation. Now the Foundation has made a $25,000 gift to establish the Cook Family Brain Tumor Research Fund to help the University of Michigan enhance its ability to treat others with brain tumors. Tom Cook was lucky, “blessed” he would say. 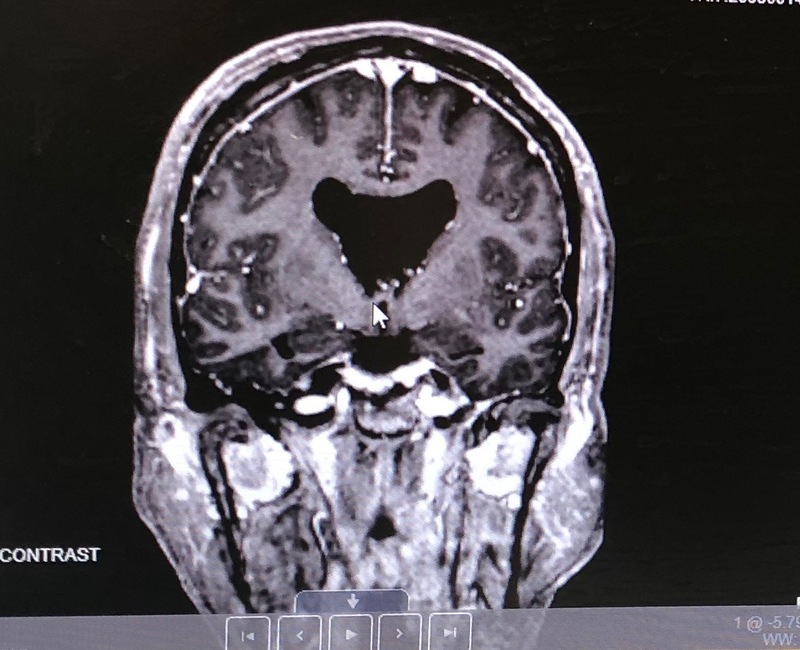 After a scary few weeks between diagnosis and surgery, we were all relieved to learn the mass in Tom’s brain was non-cancerous. Brain surgery is inherently risky, but Dr. Dan Orringer and his team expertly removed the tumor and a recent follow-up visit confirmed that Tom’s outlook is a good one. Most brain tumors are malignant and require complex responses involving (perhaps) not only surgery but radiation treatment and chemotherapy. Learn more about this work at Michigan Medicine (click here). The Cook Family Brain Tumor Research Fund will support research in the use of novel tumor imaging to improve surgical outcomes. Tom Cook’s tumor was discovered through the use of Magnetic Resonance Imaging (MRI). But at UM, more advanced forms of imaging are being explored and used not only for diagnosis, but also to guide the surgeon during surgery. The University of Michigan is at the leading edge of developing and using new technology to better care for brain tumor patients. Dr. Orringer works with a number of researchers including Todd Hollon, MD a native of Ionia, Michigan who received his undergraduate education at UM. This team is devoted to translating advances in optics into tools that can help surgeons safely remove brain tumors with greater accuracy; these tools were used to assist in the treatment of Tom’s tumor. The team has recently developed a new technology called stimulated Raman histology (SRH). Now in use at leading cancer centers across the United States, SRH is an imaging method that provides microscopic images of tumor cells in the operating room. SRH allows surgeons to understand what type of tumor they are operating on and reveals the margins of the tumor that would otherwise be invisible. To simplify the interpretation of SRH images, the research team has developed artificial intelligence-based methods for diagnosing and detecting brain tumors. SRH provides neurosurgeons with a new avenue to ensure they can deliver the best possible results for their patients. You can read more about this valuable technology (click here). We support collaboration. In the Foundation’s NonProfit Capacity Building program, we help fund collaboration (link here) and at UM Neurosciences cooperative systems are also part of their success. The brain is a complex system and treating tumors often requires multiple specialties. Michigan Medicine has brought together experts from a variety of fields to both care for patients and research the causes and treatments of brain cancers (read this story about the efficacy of this approach in treating children with cancer). Another collaborative effort that the Cook Family Brain Tumor Research Fund will support is the CNS Tissue Bank at the University of Michigan. The CNS Tissue Bank began collecting tissue under Dr. Karin Muraszko in 1993. The tissue bank was amplified in a redesign of the program in 2016 and since then, cases have increased from 380 to 1,214. Tissues and data at the CNS Tissue Bank are accessible to a multitude of departments within UM as well as outside institutions to aid in clinical trials and research. Supporting the CNS Tissue Bank will help continue to grow this digitally-accessible database of information to aid in research, diagnosis, and treatment for patients near and far. Serve as both a resource for the community and a catalyst for positive community change. Through strategic, proactive use of funds and grants, strengthen institutions, extend their mission and enable their growth. Go Blue! Go Bruce Cook!